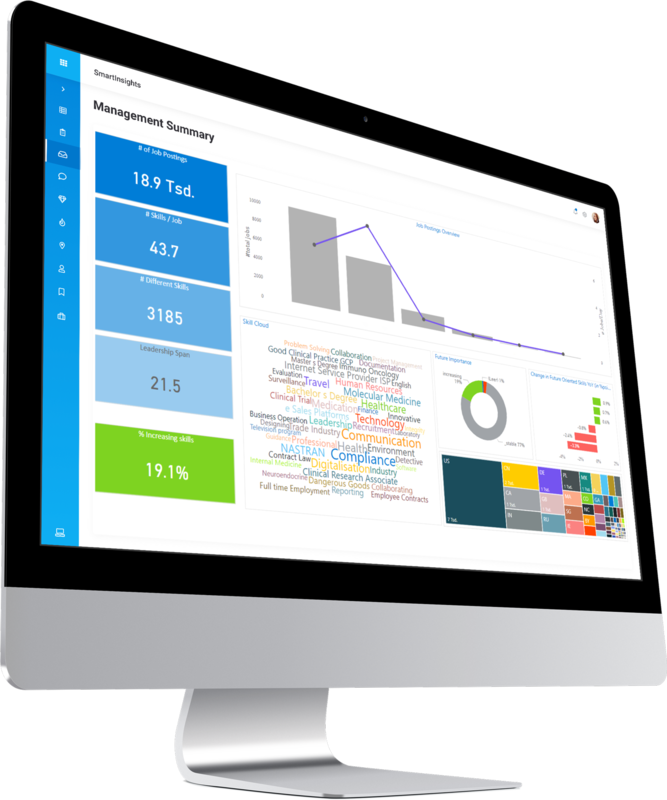 #smartInsights provides you self-service people analytics dashboards for faster and better decisions. Decisions based on assumptions and experience – still one of today’s realities in HR departments. It is time to be in the driver’s seat and master data-driven HR trends: people analytics, connected data and smart data. We show you how. /1 Define scope and target of dashboard. With our expertise taken from over 100 analytics projects, we support you to streamline your business and HR-related questions to your analytics case. 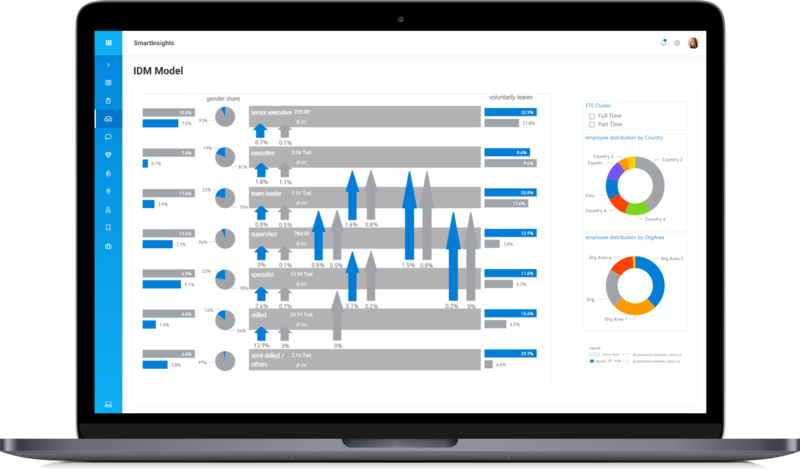 We design your decision process with KPI reportings, root-cause analysis, predictive analytics and machine-learning technologies. /2 Create a powerful data pool. We define and identify suitable data sources with you. Our data-enhancing technologies translate unstructured and doubtful data into meaningful insights. The result will be a powerful, integrated data-pool ready for exploration. 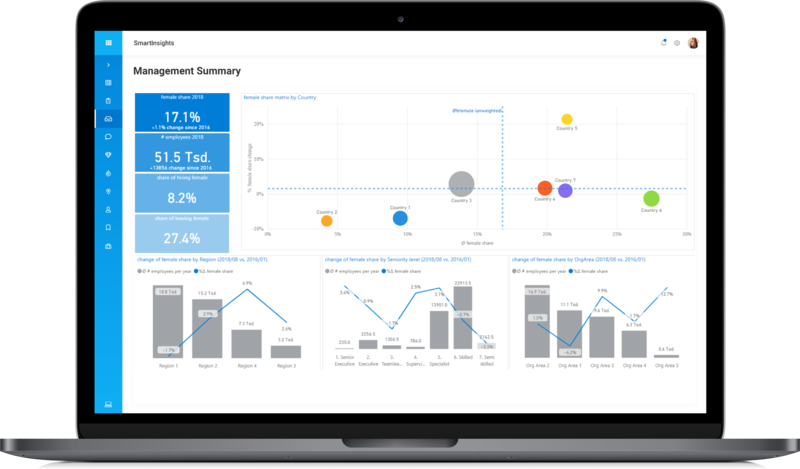 /3 Visualise insights and drive decisions. 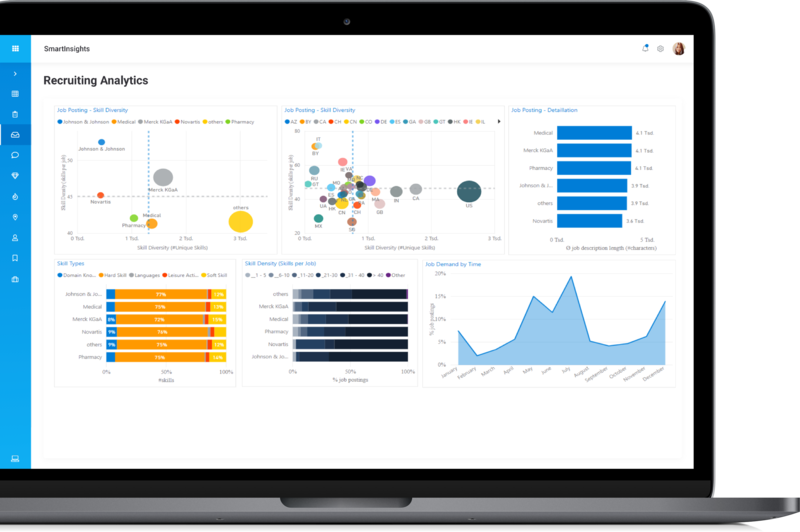 Benefit from analytics dashboards and predictive algorithms to explore key findings and drive high-impact people analytics. Share insights with stakeholders – mobile, on the web or on-premise. Every data tells a story, what is yours? People analytics helps to unlock the power of data to gain transparency and improve the company’s performance. We support you on all data-security and privacy concerns, making your analytics trustful, safe and sustainable.